Choose the original and necessary gift forA close person - it is quite complicated, but it is even more difficult to pack it beautifully. Not all people think about it, but gift wrapping is an important attribute. Present in an unusual and bright box will please the recipient, as it will be felt that the first thing that was purchased is not bought, but everything is packed with soul. Therefore, let's talk about how to decorate the gift box yourself. The easiest way for those who want to know,How quickly decorate the shoe box. Take the box of the desired size, under it, select a sheet of wrapping paper so that you can wrap the whole box. Spread the paper on a flat surface, put the box in the center, after gluing a double-sided adhesive tape to its bottom so that it does not slip. Now wrap it with wrapping paper. For convenience, make cuts on the paper from its corners to the corners of the box. Over the box, you can paste hearts, circles, flowers, cut from a multi-colored cardboard. It will be very unusual to look, if we takeA thick string and on it in an arbitrary order to fix stars or any geometrical figures, and then received a garland to tie a box. That's how beautiful it is to decorate a box at home. 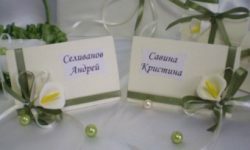 The most common gifts thatPeople buy their loved ones, are photo frames, albums, books, mugs with gentle inscriptions and other touching things. But to keep warm memories in the heart of the recipient can not only present, but also packaging for him. 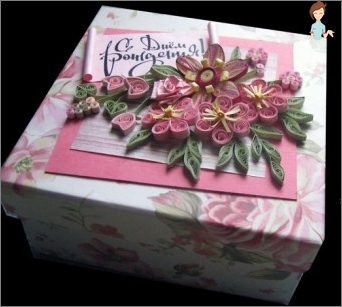 However, in order to impress the gift, you needKnow how you can decorate the box on your own. To keep your package in the recipient's memory, you want to store it for many years, you can resort to the following method. First, select the boxGoing to decorate. It is worth saying that it is recommended to decorate in this way large areas, so the packaging will look spectacular. So, when the box is selected, glue it on the sides with photos printed on office paper. You can arrange them as you like, they act only as background. 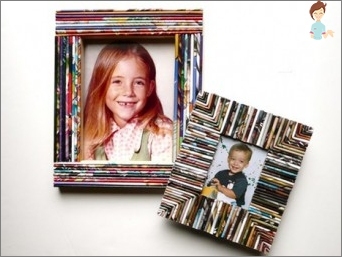 To hide the corners of photos, seal the bottom Boxes of colored paper. Next, you need to glue the box with tracing paper. It will distract attention from the photos themselves, making them a blurred background. When the glue dries, you can place on the perimeter of a box of photo cards made on good paper. If necessary, you can stick moreFigures from colored paper, for example, stars, hearts, flowers. By the same principle, decorate and cover. Before putting the present in the box, look inside. There, most likely, you will see a serving paper, carefully seal it with colored tape. This will give the package a finished look. The gift is ready. As you can see, decorating the box yourself is not at all difficult. You need only a little patience and imagination, similarly you can transform any box from under the shoes. 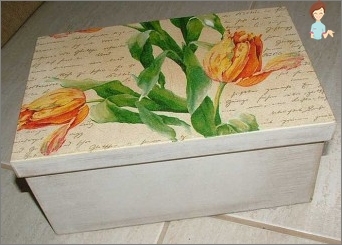 If you want the decor of your box to be soft and soft, then you can decorate it with a cloth. Spread out the matter on a flat surface,Put a box on it and circle with a simple pencil first its bottom, and then all the other sides, making allowance in a few centimeters, so that it was possible to fix the fabric. Cut the workpiece out of the material. Handle the box with glue and glue it slowlyA fabric detail, especially carefully work out corners. Similarly, decorate the lid of the box. To make everything look perfect, you can glue pieces of cloth or a satin ribbon to the edge. Now you can decorate the box. 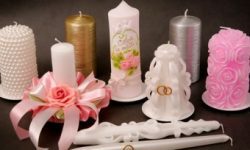 For decoration satin ribbons, crocheted flowers, thin lace and other elements are good. You learned a few ways how to decorateBox with their own hands, everything else directly depends on your imagination and desire. 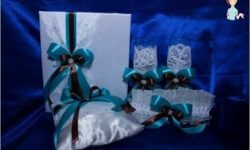 Entering the creative process with a soul, you can make unusual and beautiful packages for gifts. The main thing is your desire. Good luck!